With increased communications speeds comes the increasingly complex challenge of locating bit error events and quickly tracing their causes. 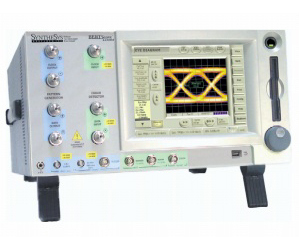 Leave it to SyntheSys, the innovators in test measurement, to evolve the industry with a next-generation signal integrity solution. It’s called BERTScope and it’s a family of analyzers designed for the 10 Gb/s and higher data rate technologies that are blazing new trails in telecom. BERTScope bridges the gap between eye diagram analysis with BER pattern generation. Finally, bit error ratio detection can be performed quickly, accurately, and thoroughly. BERTScope samples data and enables you to easily isolate problematic bit and pattern sequences. Seven types of advanced error analysis are built into one robust solution for unprecedented statistical measurement depth.